One of the most important lawn care tasks that as a homeowner you can perform is overseeding, yet very few of us choose to do this task. So you may be wondering why you need to perform this chore when you are already fertilizing your lawn correctly and it is looking pretty good right now? Well the answer is quite simple really unfortunately the grass on your lawn isn’t going to last forever. In fact every five to six years the reproduction rate for this plant begins to slow down and like us it will get tired and this is when the risk of weeds appearing is increased. By performing this particular lawn maintenance task you are helping to compensate for when the reproduction of grass begins to slow down. By performing this task every five or six years it is beneficial to your lawn. First off it will ensure that your lawn remains looking thick and dense at all times. Plus should your lawn start to look a little thin it will help to make it look thick and luscious again. 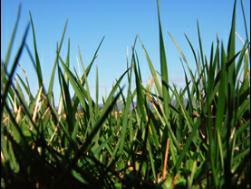 Also if the grass is thick there are fewer weeds if any when it is being mowed at over 2 inches tall. Another benefit to be had from overseeding is it makes your lawn much more resistant to any kinds of diseases. This is because the new types of seeds you sow at these times are going to be much more disease resistant in comparison to the original seeds and grass already sown. So you want to perform this task for yourself, but aren’t really sure what needs to be done? Below we offer some tips you may find useful and ensure that you carry out this particular lawn care task well. Tip 1 – It is important that you perform this task at the right time of year and the best time is either in the spring or fall. By performing this task in the autumn you are helping your existing lawn to grow during this time of the year when normally it would lie dormant. However overseeding in the spring will help to rejuvenate your lawn ready for the coming months. Tip 2 – The next thing that is crucial is to make sure that you have prepared your lawn correctly. The first thing you must do is actually mow your lawn but you need to cut the grass as short as you possibly can. In fact it is best if you almost scalp the grass. Once this is done and if you have time you need to aerate your lawn. Doing this will help more oxygen to get into the soil and so will help the new grass to grow much quicker and also will help to make it much more robust. Tip 3 – After you have cut and aerated your lawn the next task to be carried out before overseeding takes place is to top-dress it. You must top dress your lawn with a mixture of compost and topsoil. Then finally you must water the grass thoroughly after applying the seeds for several days, as this will help them to germinate better. Most homeowners feel the need to topdress their lawn every year as they think it is the right thing to do. Yet it really isn’t that necessary. Don’t get me wrong at some stage your lawn will actually benefit from topdressing, especially when it is done at the right time of the year and in the right way. So what reasons are there for performing this particular lawn care task? The main reason why homeowners arrange for this task to be carried out either by themselves or by a professional is to help either level the lawn out or to build it up to a certain level. By performing this particular lawn maintenance task they are filling in holes or low spots, which in turn will encourage grass to spread to these areas as it, is provided with something to grow in. In order for you to successfully carry out this task certain tools are required along with some soil that is suitable. The tools needed are a good wheelbarrow fitted with an inflatable tyre as this makes moving the soil much easier. Also you need an aluminium shovel, as this will make shovelling and spreading out the soil on the lawn much easier. Finally it is worth spending money on investing in a small level lawn tool that will help to not only level the soil better but also rub it into the lawn as well. What Kind Of Soil Should Be Used For Topdressing? When it comes to choosing the soil ideally you should select one that is similar to that in which the lawn is growing. Ideally choose a clean sandy loam type soil rather than one that contains organic matter (compost) and fertilizer in them. The reason for this is that it will make the whole process of adding the soil to your lawn much easier as it is far better to work with. Once you have chosen the soil you need to now prepare your lawn for the task of applying it. The most important thing to do is make sure that the grass is actually growing when you want to carry out this particular lawn maintenance task. If you apply the soil when the grass is dormant then there is a risk of causing serious damage to the lawn and in some cases you may kill off the grass altogether. So one of the best things you can do before topdressing occurs is to actually apply a layer of fertilizer to your lawn about 2 weeks before. This will then help the grass to push through the soil a lot quicker. Also it is important that the day before you carry out this particular task you actually mow the lawn. If you don’t then of course the longer the grass the more soil you will need to use in order to cover it correctly. In turn it will make it much harder for the new grass to emerge if the layer of soil on top is much thicker. As a homeowner, you want your property to look it’s best. 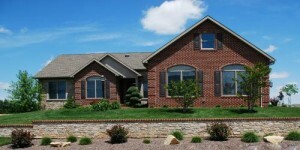 The area that quickly sets your home apart is a well manicured lawn. One of the most important tasks that should be carried out is the aeration of your lawn. Doing this will help to actually soften the soil underneath as it enables water to penetrate through rather than just remaining on the surface. In turn this will actually help the roots of the grass on your lawn to grow much deeper into the soil and then you will find that it won’t need watering as often. So saving you quite a bit of time and money on watering costs and time. Plus it also ensures that the lawn stays greener a great deal longer throughout the year. If the soil underneath your lawn is made up of clay it can be detrimental to the health of your lawn. As throughout the year the soil expands in both warm and cold weather and becomes much more compacted, so providing far less space for roots of your grass to grow. It is a process where using a mechanical, liquid or hand aerator you make holes in the lawn that then allows the soil underneath to absorb water. As a result of performing this lawn maintenance task you are helping to stimulate the growth of the grasses roots at a much deeper level as well as reducing the soil from compacting. Plus aeration of a lawn will also help more air and nutrients to reach the roots of the grass. The removal of cores from a lawn will give the soil space to expand and so reducing stress of the lawns roots and in turn this will ensure that you have a great looking lawn throughout the year. Don’t be surprised when your neighbors start asking how your lawn is looking so great. In answer to this question, it actually depends on where you live, the type of soil you have on your property and what the climate is like. However most gardeners generally choose to aerate their lawns during the middle of Spring or late in the Autumn. For those of you who live where the climate is quite cool then the time for aeration of your lawns to occur is between March and the end of June or September to October. However if when you do go out to perform this particular type of lawn care task and the ground feels soft under foot then this may not be the best time. If however the ground feels quite hard then for the best results you should make sure that you water the lawn for about an hour before you begin aerating your lawn. If however you live in a pretty warm climate then aeration of a lawn can take place as early as February or even as late as November each year. But in order to achieve the best results possible and have a wonderful looking lawn throughout the year don’t be afraid to aerate yours on a regular basis.